Letters sent to premiers, ministers and elected officials in opposition to the wolf cull. Send us yours. As a citizen of the Province of British Columbia, I am late in submitting my comments on the proposed, and I presume, now passed new amendment to the Grizzly Bear Range of Authorization for Limited Entry Hunting Zone 7-52 (Peace River District). A proposed amendment, need I say, buried so deeply in your website, I couldn’t even find it. I sought the information out on Pacific Wild, the Raincoast Conservation Foundation and The Tyee’s websites. Furthermore, I saw no public notice advising citizens of this province on the deadline of January 31, 2016 for submission of public comments on this amendment. Not that I would expect any more of your government, in terms of openness, transparency and public consultation. As such, I wish to make my voice heard at this time and register my utter and complete opposition to the continued – and indeed, NOW EXPANDED – Grizzly Bear Trophy Hunt in this great province. As study after study, and survey after survey state – over 85% of the population of British Columbia are staunchly opposed to the continued trophy hunting of our great apex species in this province – chiefly, the Grizzly Bear. Yet – still, after fifteen long years, your government continues on the path of not only permitting Grizzly Bear trophy hunting in this province, but now expanding it. You prove onlyone thing – your government is a gutless dinosaur in terms of not moving into the 2st century, and realizing the true value and intrinsic worth of preserving the great wildlife species, such as the Grizzly Bear – in one of its last remaining natural habitats in the world. Were one to only come at this issue from a purely monetary one, your motives are even more confounding and idiotic – when one considers the huge revenue and massive tourism potential that currently exists in the province thanks to the wildlife tourism and bear-watching industry. The total gross wildlife tourism industry revenues now dwarf anything earned by the trophy hunting industry. Yet still, you persist in supporting this extremely small subset of your voting clientale in continuing to perpetuate, support and now expand this archaic and appalling industry that is the trophy hunting industry. I wish no reply from you. I wish my opinion noted. I am one of the over 85% of this province who steadfastly remain OPPOSED TO ANY AND ALL TROPHY HUNTING IN BRITISH COLUMBIA, IN PARTICULAR, THAT OF THE GRIZZLY BEAR. I eagerly, anxiously and impatiently await the provincial election of 2017 – when we vote your government out for good, and begin the restoration and preservation of our forests, and our great wildlife species, such as the Grizzly Bear. The year is 2016, long past time when we end the needless and deplorable sport that is – trophy hunting. We are totally opposed to hunting grizzly bears, and request you terminate all trophy hunting immediately. Grizzly populations are declining because reproduction rates are slow, habitat is being lost due to industrial development, salmon stocks are declining, and bears are being killed through poaching and on roads and railways. Many bear biologists are concerned that the Ministry of Environment’s population estimates are too high, and that bear killings may be going over sustainable limits. The Ministry does not have the staff on the ground to accurately assess population size or bear deaths due to causes other than hunting. Bear-viewing has quickly become a far larger source of income and employment than trophy hunting, and trophy hunting conflicts directly with ecotourism. In fact, in 2012 the tourism industry related to bear viewing generated more than 12 times the tourist income related to bear hunting. There is no reason why the same hunting guides who now take hunters in to kill bears could not take in wildlife observers and photographers. There are plenty of rich people in the world who would pay the same, and the government could require a similar fee. Of course these guides would have to make sure they don’t habituate bears to humans. The majority of people in British Columbia strongly oppose trophy hunting, especially of grizzly bears. Please listen to us, and ban this unethical and immoral hunt! Thank you for considering this matter. Culling of wolves and bears is barbaric, misguided and completely unnecessary. Whatever financial proceeds a government obtains from issuing permits to trophy hunters can’t possibly be justified. These heartless humans are completely lacking in empathy and have over-inflated egos if they actually believe they’re entitled to cruelly kill animals for any reason other than as a food source – humans do not eat wolves or bears. Humans are not competing with wolves and bears for food. Humans do not need animal fur to keep warm in this day and age. The whole idea of humans trophy-hunting or culling is utterly egocentric and abhorrent to me, and is not founded on sound science. Other than to protect endangered species, animal species do not need human intervention in order to control their populations. 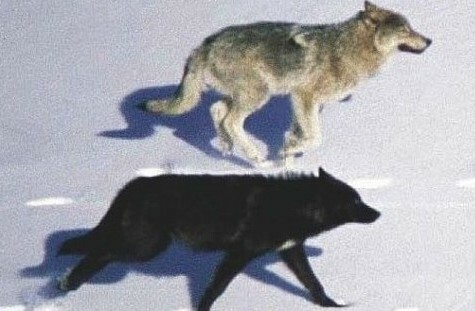 There are countless studies proving human interference is misguided, often resulting in a disruption of the natural order (e.g., Yellowstone Park in the 1930s – killing off the wolves disrupted the entire ecosystem and wolves eventually had to be reintroduced in order to bring back some semblance of natural order. Read more athttp://www.yellowstonepark.com/wolf-reintroduction-changes-ecosystem/). Why can’t this Liberal government take a lesson from others’ mistakes? Call it “culling”, “trophy-hunting” or whatever you like, this arrogant attitude of trying to control populations of other species only proves humans are far from being the most intelligent of species on this planet that they seem to think they are. Trophy-hunting makes me feel ashamed to be a member of the human race and it’s ironic, isn’t it, that the human race appears to be unable to control its own globally unsustainable population growth. I did not vote for the Liberal party – and I never ever will if your political actions do not represent the wishes of British Columbians. I implore you to rescind your proposal to allow unlimited killing of wolves and tripling the number of grizzlies killed in the Peace region; in fact I beseech you to halt trophy-hunting of any non-food animals altogether throughout our entire province. We are so much better than this. Wildlife ‘conservation’ should not default to conserving one species over another. Nature does this job for us, but human interference creates artificial imbalances that too often result in decisions like the current unbalanced approach to the presumed overpopulation of our indigenous wolves and grizzly bears. How long before we ‘regulate’ these beautiful mammals into extinction? Look around the planet if you don’t understand this. Species are becoming extinct or endangered at ever greater rates, and no one can reliably predict what the outcome will be. However, every species exists for a reason, and it’s not for any generation to endanger our future heritage unless and until we can predict the outcome of actions such as slaughtering certain types of wildlife to preserve others. Science is very far from being able to do this, so why would your government place itself in this tenuous position? We are a family of six who have voted Liberal in BC for many years, but this is the last time we will do so unless this policy is reversed this year. If for no other reason, stopping this ignoble slaughter is the only humane position. Killing innocent animals for any reason is untenable unless they are an essential food source—rare in this day. Killing prey animals is uncivilized (unless one is under direct attack) and will be so recognized among the civilized nations of the world. RE: Province extends public consultation on Peace Region grizzly & wolf hunt proposals. I am writing to plea for the lives of the Wolves and Grizzly Bears that live in British Columbia and ask that all permission from any source be withdrawn to all or ask for the grizzly bears or wolfs to be culled or kill in any number or degree – especially until the courts have sorted this issue out. I am in no way impressed by the activities written about and I do not give my permission as a person who pays taxes in British Columbia for any of these types of activities – to any degree – so it is really my request that any and all permissions, approvals or orders be withdrawn permanently for the killing of any of the animals mentioned in the above issue. I experienced such difficulties in responding to the Ministry of Forestry, Lands and Natural Resource Operations online consultation that I do not have confidence that my voice has been heard on your government’s proposal to increase wolf and grizzly hunting in the Peace Region. I am opposed to both proposals because the government has not done its due diligence in providing solid evidence of the animal populations in question and I urge you to instruct Ministry staff to postpone any action until good measures of the abundance of animals is reliably confirmed. I also request that you instruct Ministry staff to correct the technical problems of its website to ensure meaningful public consultation. The following description of my unfortunate experience would very likely dissuade most of the public from participating. I created a user account but was never emailed a password. I had to call the provincial Front Counter number for help. After providing my user name, I was eventually given a password over the phone. I then completed the online feedback, but a confirmation was not generated to confirm that my submission was received/successful. I have still not received a password by email. It should be noted that I use the standard Microsoft Explorer browser. I would appreciate a response to this communication confirming that my feedback will be included before the January 31st deadline. 1) Trophy hunting in BC. Almost all British Columbians oppose trophy hunting. Not only is it unhealthy for the ecosystem, and morally questionable, it is economically unsound. Ecotourism is potentially a much bigger money-maker for this province than allowing a few rich people to slaughter the biggest and best wild creatures. 2) The wolf cull. These magnificent creatures are not responsible for the decline of the mountain caribou in BC. Irresponsible logging practices and irreversible catastrophic climate destabilization have caused the loss of the ancient forests, where the caribou find their food. The systematic slaughter of wolves is a terrible thing to contemplate. I hope you will reconsider your decisions on the above. We greatly oppose the proposed “unlimited killing of the Peace River wolves”, and “the grizzly bear expanded hunt”. The wholesale slaughter of our wildlife in BC is corrupt, immoral, and blatantly wrong. It’s time for the citizens of BC to take a stand to protect our resources and environment for the future generations. We demand a referendum be held regarding the same. This is OUR province, OUR environment, and OUR natural resources. We need to protect it from this political corruption. I strongly oppose the B.C. wolf kill program. Sustained killing of wolves, in the absence of protecting adequate caribou habitat, is unjustifiable. This inhumane activity is contrary to the values of most British Columbians. The government has permitted forest, oil and gas and other resource companies to destroy and encroach on caribou habitat, and now that some herds are on the brink of extinction, wolves are made the scapegoat. It is an attempt to avoid what really should be done, which is to slow down and stop habitat destruction in caribou habitat. In addition, the approved Northern Gateway pipeline, approved Site C hydro project, proposed expansion of the Trans Mountain pipeline, and various LNG pipelines will do more harm to caribou herds than any wolf population. We would be wise to consider the example of Yellowstone National Park, in which the reintroduction of wolves led to a much stronger, healthier, and more resilient ecosystem. In BC, these ecosystems evolved with wolves as an apex predator and they will not function properly without them. What these systems did not evolve to cope with is massive habitat disturbance and loss as a consequence of oil and gas and mining activity. If the government is looking for action, that would be the place to start. The loss of wolves will not magically create new caribou habitat. It will only mean fewer wolves and stressed wolf packs. There are solutions and alternatives to protecting caribou but killing wolves is absolutely not one of them. In fact, Ministry of Environment documents describe the wolf kill program as an “experimental” effort that might not work because resource development has affected caribou habitat so severely. ALL experts in this field – from biologists + conservationists to observers + scientific researchers – have provided overwhelming evidence that HUMAN INTERFERENCE IN WILDLIFE HABITATS IS DETRIMENTAL TO THE HEALTH + LONG-TERM SURVIVAL OF WILDERNESS ECOSYSTEMS. Almost 3 months ago, 10 environmental groups, representing thousands of British Columbians, sent a letter to Premier Christy Clark, objecting to the fact that her government is spending hundreds of thousands of dollars to kill wolves and pen pregnant mountain caribou, while forests critical to the survival of the caribou, and many other species, continue to be destroyed or fragmented by industry. Killing wolves will not improve caribou recovery. Ostensibly to protect caribou, the BC government has been engaging in wolf sterilization experiments and wolf killing for more than a decade. These programs have not resulted in any measurable benefits for caribou (as stated in the BC Wolf Management Plan). Alberta’s wolf cull, as reported in the Canadian Journal of Zoology in Nov 2014, failed to achieve any improvement in Boreal Woodland Caribou adult female survival, or any improvement in calf survival, and as such had no effect on population dynamics. Habitat quality is the most important component of caribou recovery.Since it takes hundreds of years to establish an adequate biomass of tree lichen to sustain mountain caribou populations, deforestation is a major factor in the decline of caribou numbers as well as their failure to recover. Habitat quality is the most important determinant of the dynamics of populations of large mammalian herbivores and omnivores. 3: Wolves are not the only predators of caribou. Wolves eat caribou. So do cougars and sometimes, grizzlies. A 1999 study on the South Selkirk caribou stated “…most adult mortality was attributable to predation, particularly by cougars…”. 4: The wolf cull is a slaughter that carries indefensible suffering to wolves. Caribou and wolves coexisted for thousands of years prior to caribou herds being decimated by habitat loss (in both BC and Alberta). Slaughtering wolves using grossly inhumane methods (i.e. aerial gunning, neck snares and poison) reflects fear and intolerance, at best. The province is killing wolves now to give the appearance of action for caribou herds that they decimated after decades of conscious choices not to protect caribou habitat. There are no reasonable ecological or economical reasons to kill wolves. And there are clearly no tenable ethical reasons to induce such harm and suffering. 5: The ends do not justify the means. Wolf culls involve killing hundreds of wolves, and over the longer term, likely thousands of wolves. In making moral judgments, people tend to regard harm as more serious if it is deliberate rather than unintentional. Both recreational and institutional killing of wolves are rightly viewed as more serious acts than unintentional killing. Similarly, people may regard harm as less significant if done for a seemingly worthwhile purpose. This is a slippery slope. Principled justifications used to sanctify unethical practices that cause harm and suffering are not worthy purposes and are an unethical rationale for killing wolves. Killing one species to save another is misguided. Sustained culling (aka murdering) wolves in unlimited numbers is how species become extinct. This has happened over and over again in human history. Is this what our government intends? What are the details of the most recent version of the wolf killing plan? May I have a copy of this document? I await your reply. Thank you. I am writing to express my strong opposition to the wolf kill program that the B.C. Liberal government is currently considering. The proposed plan to open unlimited year-round hunting of wolves in the Peace region is based on very questionable anecdotal reports of wolf numbers and ignores scientists’ assertions that killing more wolves will NOT lead to a recovery in caribou numbers. Habitat loss due to development for resource extraction is the main issue facing endangered caribou in the province, not predation by wolves. In Yellowstone National Park, the reintroduction of wolves benefitted the ecosystem in countless ways – how can this government possibly believe that killing more members of a species will have any positive affect in our province? Science does not support an open season on wolves and neither does the public. This proposal to allow an unlimited open season on wolves is being based on reports from stakeholders who have their own selfish interests at heart, not the good of the province. Wolves (and grizzly bears) are not ‘resources’ to be hunted, but are essential components of a healthy ecosystem and must be protected. Over 1,000 wolves are already killed province-wide annually for trophy, commercial and recreational reasons – this is already more than enough. Wolf-sterilization experiments and culls over the past decade have not resulted in any gains in caribou populations. Other than short-sighted ranchers and self-interested trophy hunters, nobody in the general public believes that killing more wolves will result in a caribou recovery. The government should be making habitat conservation a priority if it hopes to salvage what is left of the caribou herds. ‘Beautiful British Columbia’ is beautiful for a reason – our wildlife and our natural environment. Please urge Premier Christy Clark to call off this ill-advised plan and instead listen to fact-based science that contradicts what this government is planning. Public opinion is against this proposal and these animals should be protected for the good of the province. Please listen to your constituents and do all you can to prevent this severely misguided program from taking effect. Is a mealy-mouthed manual calling the shots for biologists? 1) Always say “yes” to government superiors, however unsavoury they may be. 2) Never notice these same superiors are joined at the hip with land-degrading industries. 3) Search for various academic journals to publish your questionable findings. In this way, your work will almost look legitimate. 4) Never talk to the media without first facing a firing squad of government goons. … Well, no, just don’t talk to the media. 5) Whenever possible, make a concerted effort to rewrite history. Here, people will never know Alberta has already been hacking up the land for decades. 6) When addressing a given troubled organism, never mention that there are, in fact, numerous other troubled organisms occupying the same space. 7) Whenever an ordinary citizen has the audacity to question you, be high-minded and arrogant. Put them in their place. 8) Hide as much information as possible, while only offering the flimsiest of details. This creates the impression you are engaging the public. 9) Complete dozens of vague and abstract studies, even though everybody and their Uncle Frank actually know what’s going on. 10) Recruit right-wing think-tanks to support your biased position. They will speak for you, and they wear suits and sound pretty serious. 11) Never, ever, ever have your own opinion. 13) Make your research so highly technical that a team of engineers will need 25 years to decode it. This will really keep those pesky citizens out of your face. 14) Finally, failure to comply with the above commandments will have you spending the rest of your career studying stink bugs in Outer Mongolia. I lived in Jasper National Park for 33 years before moving to BC. During that time the park became increasingly aware that the caribou population at Maligne Lake was declining. The area around Maligne Lake is important to the caribou in the winter due to a reliable source of lichen for them to eat. But there is a road leading to the lake and Parks Canada refused to close it during the winter, in spite of irrefutable evidence that the wolves were using the road as a convenient path to gain access to the caribou. In fact I followed a wolf in the car one day, during the winter, as he trotted up toward Maligne Lake. Maligne Lake was a ski touring destination during the winter, the trails have now been closed due to the urgency of the caribou situation, and that was, most likely, one of the reasons for the road being open. But, sadly, the road is still open and the last reports on the number of caribou at the lake is about 3 to 6. All this leads me to state how emphatically I am against the slaughter of wolves from helicopters in order to save caribou that are declining due to factors your government has created. The extensive incursions into caribou habitat by roads needed for resource extraction is the reason for their high mortality, not wolves. The caribou are only sounding the alarm about the necessity of protecting the areas they need to live. The wolves would not be able to get to them if your government recognized, to begin with, that the scientists and environmentalists were right when they opposed developments in critical caribou habitat. The scientists and environmentalists are all right about this issue and you and your government’s policies that put resource extraction over the protection of vulnerable animals are wrong and will always be wrong. And shooting wolves is not the answer and will cause another animal to suffer horribly. Wolves are a tight knit society and rely on each generation for knowledge. These wolves are going to lose close family members. This is a travesty of your own making. Stop shooting the wolves now and take the steps necessary to truly protect the caribou. I am writing to express my strong opposition to the wolf kill program that the B.C. government has approved. Killing more than 180 wolves through aerial hunting, in the absence of protecting adequate caribou habitat, is unjustifiable. We would be wise to consider the example of Yellowstone National Park, in which the reintroduction of wolves led to a much stronger, healthier, and more resilient ecosystem. In BC, these ecosystems evolved with wolves as an apex predator and they will not function properly without them. What these systems did not evolve to cope with is massive habitat disturbance and loss as a consequence of oil and gas and mining activity. Perhaps if the government is looking for ‘immediate action’, that would be the place to start. The loss of wolves will not magically create new caribou habitat. It will only mean fewer wolves and stressed wolf packs. I am not in support of the wolf cull. I think this action is thinking short-term rather than long-term. Our province needs to address issues impacting the caribou such as land conversion. Doctor Chris Darminont, from University of Victoria, has spoken out against this action and a foundation he is part of has asked for support by the action of emailing our MLA’s. I am a student at the University taking Environmental Studies and Geography. In addition I am someone who has voted for you to represent me. Please take a compassionate look at this action and create some mindfulness at your office. A paradigm shift needs to happen so there is more transparency with the public. We knew your government was bereft of innovative and concrete ideas to preserve and conserve the environment. But to return to what was a depraved and outrageous practice by the ridiculous Social Credit government of the day 30 years ago – really takes the cake and lowers your government to all new levels of depravity. So, not only do we have a Liberal government that persists in maintaining the notorious Grizzly Bear hunt – in a province where time and time again it has been proven that Grizzly Bear tourism provides far greater an economic return than killing the world famous beasts – an economic fact, that for some reason, your government seems incapable of admitting and still persists in permitting this archaic and barbaric practice. A practice that no less than 80% of the people of this province have advised you time and time again want stopped. Now this week, here in the year 2015 no less, we are advised you and your Ministry plan on taking us back to the dinosaur days of the 1980’s and are now killing wolves once again in an effort to “save” the caribou herds. The same caribou your government has been advised for years on of the imperative need to improve, enhance and increase their habitat – the real reason for their precipitous population declines. But no, we hear you are sending out your yahoo helicopter hunters, and the wolf massacre by air has begun again, 30 years on. Are you and your Ministry for real? Ah yes, but now we have the most expedient, inane “solution” – yes, a real, typical Liberal “solution”, alright. Your government belongs in the stone ages. Please – STOP THE WOLF KILL now. The Liberal administration is a blight on all environmental conservation and preservation in this province. Yet, that does not mean you cannot stop immediately, see the 30-year old error of your ways and cease the wolf kill – now. You made an error, you recognize your error, you realize the BC wolf is NOT the problem, and you wisely reconsider and call off your decision. It’s time to do the right thing in this province, what your Ministry is responsible for — begin the restoration and preservation of the caribou habitat now. Stop making the wolf the scapegoat. Stop the wolf kill now. To not do so risks making your government look, as ever, utterly bereft of any constructive and intelligent actions in this province, as to think pulling out 30-year old plans of action would ever be a “solution” to a 21st century problem. Get with this century. A wolf kill by helicopter – is not the solution. You need to put the resources into devising and coming up a with a real solution and plan now to begin the real work in solving our habitat conservation problems in this province. As a resident of BC, one who was around in 1984 when the equally bereft Social Credit government tried to pull off this same idiotic move, I am appalled. Let’s not repeat history. PS Don’t bother responding to this letter. Just stop the wolf kill – now. I am writing to express my opposition to the planned wolf kill program that the B.C. government is considering. Killing more than 180 wolves through aerial hunting, in the absence of protecting adequate caribou habitat, is unjustifiable. Wolves are social animals which are integral to ecosystem function. The province needs an adequately-funded Conservation Officer Service that is not partnered with vested interests such as ranchers. Large tracts of habitat should be set aside for multiple wolf packs and their prey, with no hunting or trapping allowed, so that wolves can develop natural packs and behaviour. This will provide benchmarks for scientific research and areas where people can watch wolves. B.C’s wolves deserve protection and should not be exterminated because the B.C. government has failed to protect enough habitat for caribou. There are solutions and alternatives to protecting caribou but killing wolves should not be one of them. As a German author of a book on the Great Bear Rainforest, photographer and annual visitor of BC, my wife and I are completely horrified at the plans to slaughter more than 180 wolves in the South Selkirk and South Peace regions. We already reacted to the plans to slaughter wolves from helicopters and stopped our plans to visit BC this year until this program is stopped. We don’t like to go on holidays in a province and spend our money in BC to subsidize a tax-payer funded kill program which is not ethical and which will not work to improve caribou recovery. This plan is ethically, socially and scientifically unjustified. Wolves should not be killed because of a long-term government negligence in regards to habitat protection! It’s a completely unethical and ill-conceived approach to just declare a war on wolves when they are a symptom and not a root cause. Decades of habitat destruction and human encroachment have left BC’s woodland caribou in serious decline. Instead of protecting critical habitat, such as lichen-rich high elevation forests, the government allowed logging, industrial exploration and almost all kinds of human encroachment to take place. Today the caribou are almost gone and the decision to scapegoat wolves is just disgusting. For decades the government did almost nothing to protect the caribou and consistently capitulated to forest industry, clear-cut logging, mining, oil and gas exploration and recreational lobby groups, especially winter-based motorized activities. Our suggestion to save the caribou which are really in a desperate state is to fence the last members of threatened caribou herds and farm them for the next twenty years. It will take at least twenty to thirty years for the forest to regrow to a point at which caribou would no longer be at a disadvantage and will be able to survive in winter. Stop all industrial and recreational development in critical caribou habitat immediately and start protecting and restoring critical caribou habitat as soon as possible! The fundamental problem is ongoing habitat destruction so you can kill almost every wolf in BC but even this would not bring back the woodland caribou. Wolf culls actually don’t work – at least in Europe – and sometimes they are totally counter-productive. They only result in more livestock kills but are unable to enhance ungulate populations. We protest against BC’s wolf cull and we’ll do our best to inform the tourism industry in Europe and all the travel agencies about the killing of wolves from helicopters in BC. The wolf kill program has the potential to harm the tourism business in BC extremely and for a long time. Do you really want this to happen while proceeding with the wolf kill program? Do you think the wolf cull program is part of the “revitalized destination brand” that is used to market BC to prospective visitors around the world? This program is an outstanding program to ruin tourism in BC! Tourists from Europe don’t like to spend their vacancies in a province which slaughters wolves (and kills bears for a sport and allows trophy hunting). We urge people in Europe not to visit BC as long as this barbaric wolf kill program isn’t stopped. All travel agencies will be informed as well and we will bring a European spotlight on the BC wolf kill program wherever we can. This will add another sad chapter to Super Natural British Columbia, the province which allows trophy hunting of bears and killing of wolves from helicopters. It’s hard to find words strong enough to express our disgust and horror. I wanted to add my name to the list of west end residents that deeply oppose everything about the upcoming wolf hunt/cull. Leave innocent wildlife alone and stop using my tax dollars to murder BC wildlife! is taken for one of us. pipelines will do more harm to caribou herds than any wolf population. represent me or my family. I want to express my total opposition to the planned wolf kill program that the B.C. government is undergoing. Killing more than 180 wolves through aerial hunting, in the absence of protecting adequate caribou habitat, is unjustifiable. Wolves are social and highly intelligent animals which are integral to ecosystem function. They deserve protection and should not be exterminated because the B.C. government has failed to protect enough habitat for caribou. There is no science in the killing of wolves to save caribou; this has been done before and it failed miserably, why is it been done again? What is the cost to the BC tax payer for yet another inept program to save caribou. The plan to kill 184 wolves to save 18 caribou is senseless. Habitat is critical to caribou, yet logging, mining, oil and gas exploration, recreation encroachment are still allowed in this so-called protected area. Don’t allow any more logging, mining exploration and other activities that destroy their habitat. There are solutions and alternatives to protecting caribou but killing wolves should not be one of them. I have recently learned of the unnecessary killing of wolves in our province and our neighbouring province. Since my tax dollars are part of the funding for this senseless endeavour, I am contacting your offices to find out more information. Do you support this? If so, what is the scientific reasoning for your support? Why was I not notified of how my tax dollars were to be put to use by our government for this killing? As an educated, professional, hard working resident of British Columbia, I do not support my tax money to be used in such an inappropriate way. You would think in this highly technical day and age that all of us on this great continent would have learned from the important biological and moral lessons found in the Yellowstone national park wolf killings. Would you yourself eat all the food in your kitchen, grocery store, or garden, leave nothing and starve yourself and your children to death ?? No. No species would, including the intelligent and important species the wolf. Wolves are in fact required in healthy numbers to balance our sensitive ecosystem and are proven scientifically to NOT be responsible for ungulate population decline, but rather it is our own human destruction of ungulate habitat that is the primary reason when their numbers are found to be poor (if they even in fact are). Why does our government set out on such a task with purely archaic thinking, no scientific data to support the slaughter, and therefore reckless spending of our communities’ hard earned money? This is inhumane, unwarranted, unproven action. The proof is in the existing scientific data that shows no backing of your decision to snuff an integral and imperative species in our corner of the world. As a resident of British Columbia and a lifelong contributing Canadian citizen, I am personally embarrassed in front of the rest of the world that our government would put such a stain on our environmental reputation by making such an uneducated political decision and knowingly cause unnecessary suffering of animals that are so important to our forest lands and natural resources’ long term health. As a worker in the Natural Resource industry for more than 20 years I would call on you to answer the questions posed to you, as I am not the only one that is wondering the answers. I have dedicated my life’s work to natural resource science, and I challenge your office to publicly show the proof that your decision to kill wolves in such a heinous manner has any proven scientific support at all. I highly doubt you can find any that is valid. David Reid, executive director of the West Kootenay Eco-Society admits, “The caribou situation is ‘really challenging.’” (Star, January 21, 2015). He is quite right and nobody (pet owners or wildlife lovers) wishes an animal to suffer. In support of the Raincoast Conservation Foundation, trusting much to the science and dedication of those working there, I have discovered it is important to consider not only numeric responses, but also possible social and physiological effects of lethal control programs on wolves and other large carnivores. Some new research from Dr. Heather Bryan (researched from the University of Calgary) along with professor of Veterinary Medicine at U of C, suggests the hunting experience on these social and sophisticated wolves ‘may reflect social instability.’ Their studies record elevated testosterone and cortisol levels. This, according to Dr.Musiani also of U of C, may have implications for wolf health, welfare and behavior. This could continue for generations. Chris Genovali of Raincoast, also reflects on this federal “Endangered “designation, as he speaks of the Southern Resident Killer Whales, and rightly so, demonstrates how the government action plan lacks action. The federal government has lost twice in court (sounds familiar) and, after 15 years, the whales are no better off. A different law perhaps and no-one stormed off in helicopters to save a whale. I advocate the government donation of $150000 per year, wrongly allotted to a ‘wolf cull,’ be spent to support clear research from competent and caring scientists. Furthermore, I don’t speak for the Ktunaxa, yet I imagine the gift of dead wolves is an insult, perhaps that’s why the ministry hasn’t heard back. I am writing to express my opposition to the planned wolf kill program that the BC government is considering. Killing more than180 wolves through aerial hunting, in the absence of protecting adequate caribou habitat, is unjustifiable. Wolves are social animals which are integral to ecosystem function. They deserve protection and should not be exterminated because the BC government has failed to protect enough habitat for caribou. Let me give you an example from my professional experience with caribou during my work as senior park planner with Parks Canada. I happened to study the mountain caribou presence in Banff and Jasper in the 1970s. The caribou are very sensitive to habitat incursions. For example: in 1915 there was a sizeable herd of caribou in Hamber provincial park near Fortress Lake. Then BC shrank Hamber, which used to take up most of the northern half of the Rocky Mountain Trench (so it could all be logged), and by the time in the ’70s when I was park planner for Banff, Jasper, etc, we had a mere handful of caribou at Fortress Lake (Hamber being adjacent to Banff), and about 5 around Maligne Lake. This is the Mountain Caribou subspecies. Nothing to do with wolves. Lots to do with people, especially when we put a paved highway into Maligne in the ’60s. When I was a student at UBC there was really no public access to Maligne. We once hiked the 18-mile long track where a car or other carrier brought in the Brewster and Rocky Mountain Tour guests to their accommodation at the lake. The accommodation was then removed, the highway paved, and huge parking lots put in, and the caribou disappeared. No wolves there either, just mobs of people! There are solutions and alternatives to protecting caribou, but killing wolves should not be one of them. They are shy of people. They don’t tolerate loss of habitat. Hello! My name is Maryanne and I am writing on behalf of the wolves in British Columbia. It has come to my attention that there are plans to kill up to 184 wolves living in British Columbia before the snow melts. Wolves will be chased by helicopters until they are exhausted, and then shot under the guise of helping to recover dwindling caribou herds in the South Selkirk and South Peace areas. There is no doubt that mountain caribou are in a dire situation. This conservation dilemma we are in is certainly difficult and problematic, yet it is a consequence of our neglect. A sad reality is that mountain caribou are on their way out because of what people have already done. Caribou are in this situation because of us, not because of wolves. With the decision to kill wolves in the name of caribou recovery, there are several critical flaws that fly in the face of reason and need to be heard. In recent decades we have learned more about the true nature of wolves as emotional and intelligent beings, their highly evolved social nature and just how important they are in maintaining balance and biodiversity. As you may know, wolves are a keystone species – and removing them from a habitat impacts all the other species in an ecosystem. And yet I understand that the government has been engaging in sterilization experiments and government control (“kill”) for more than a decade and wants to continue to, although these programs have not resulted in any measurable benefits for caribou, despite nearly all of the wolves being killed in these caribou recovery areas. Small and isolated caribou herds in the southern portion of the province are on their way out because of what people have done. Killing predators will not work to recover these caribou because the habitat they need has already been destroyed. As wildlife begins to migrate further north with climate change, these isolated herds are under even greater pressure. Some areas that have been protected for caribou are not only small, but they are isolated, (e.g. South Selkirk’s), so ongoing wolf killing would likely continue to keep the small herds in existence without newcomers migrating in. This choice to kill more wolves is scientifically unsound. Killing wolves to increase ungulate populations is an outdated management practice that has failed to increase ungulate populations long-term where-ever it has been tried in the past. Wolf populations rebound quickly and dispersing wolves fill in the vacant space created where resident wolves have been killed. All evidence to date shows that killing wolves will not work to reduce predator numbers. This is not the first time wolf helicopter killing and sterilization has occurred in BC. All past efforts have failed to increase caribou numbers. So why would this be attempted again? This is also a question of animal welfare. Are we as a society prepared to spend the next thirty years shooting wolves from helicopters? Causing harm to hundreds of intelligent and sensitive animals for any reason should be questioned for its moral ground. As new wolves migrate into the area and populations rebound, killing hundreds of wolves would have to be continued in order to maintain the small herds of caribou. Aerial shooting is not an approved method under Canada’s current guidelines on Approved Animal Care. Shooting wolves from helicopters violates animal care standards and is unjustifiable. As such, I strongly encourage you, on behalf of the Government of British Columbia, to reconsider this matter. Thank you and I appreciate you taking the time to read this letter.